As of the R2 2017 the Material, MaterialBlueGray, MaterialPink, and the MaterialTeal themes are built-in and redistributed with our suite. This tutorial will provide the necessary steps to create a new Material inspired theme. We are going to use the Material theme as our source and based on it build a new MaterialPurple theme. As you can see there are 19 primary and 16 accent colors available. Enormous amount of primary-accent color combinations is available and according to the latest design trends we have created 4 material themes in our suite (indigo – orange, pink – blue, teal – red, bluegrey - green). In this article you will find the exact steps how to create a new material theme with primary and accent colors of your choice. You can also change only the primary or accent color to create a new theme. The number on the right is the color ID and can be found in the links mentioned above. Now we know the exact colors that we are going to use and we can start creating new material theme. First we need to open VisualStyleBuilder. As a foundation we are going to use the first Material theme, so we can open Material.tssp for modification. 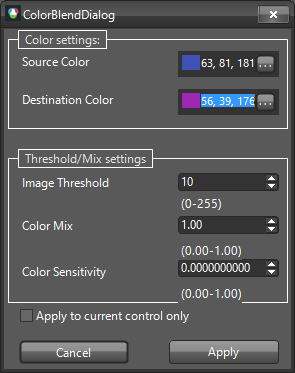 Now using the ColorBlending dialog the new theme will be ready in a dozen of steps. 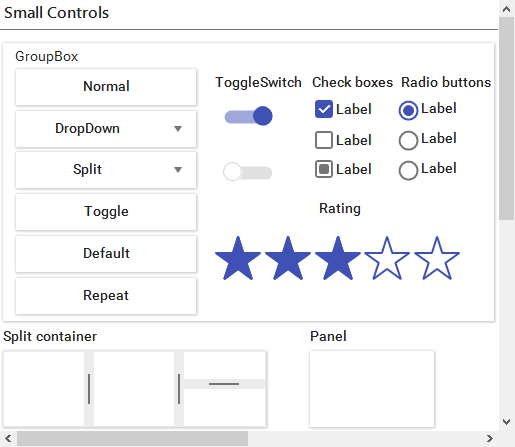 One should use the Visual Style Builder from the R3 2017 release onward as it brings major improvements in how the source and destination colors are being blended. RadCheckmark/RadCheckbox uses images for its different states and the Color Blending wizard may not convert all the pixels correctly. So you can replace these images with your custom ones.